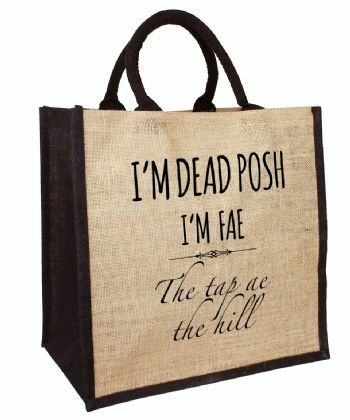 These large personalised shopper jute bags are a fun and handy item to have! Show of where you are "fae" with one of our bags! 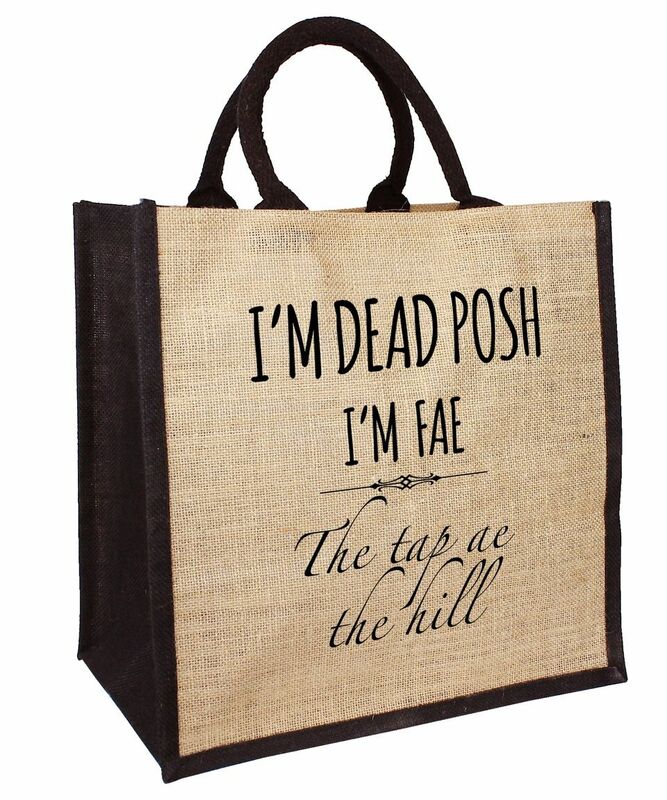 This bag reads "I'm dead posh im fae The tap ae the hill"
Why not team it up with a magnet or mug?